Friday, Sept. 4. That was the last day I rode my bike. As of this writing, 38 days have passed – in fact, the poor, neglected piece of machinery still sits locked to an inside bike rack in an office building in which I no longer work. I really do need to pick it up. The reasons I’ve failed with regards to commuting-via-bike for the past five-plus weeks are varied more than usual. Perhaps most notably, I had to make an emergency trip to Southern California because within the span of four hours, not only was my son admitted to the ICU in Santa Barbara, but my younger daughter was hit by car while on her bicycle in Santa Cruz. She called me from the scene, hurt and stunned and missing most of a front tooth. Fortunately the driver stopped. Even more importantly, several people called 911 immediately and rushed to help her. 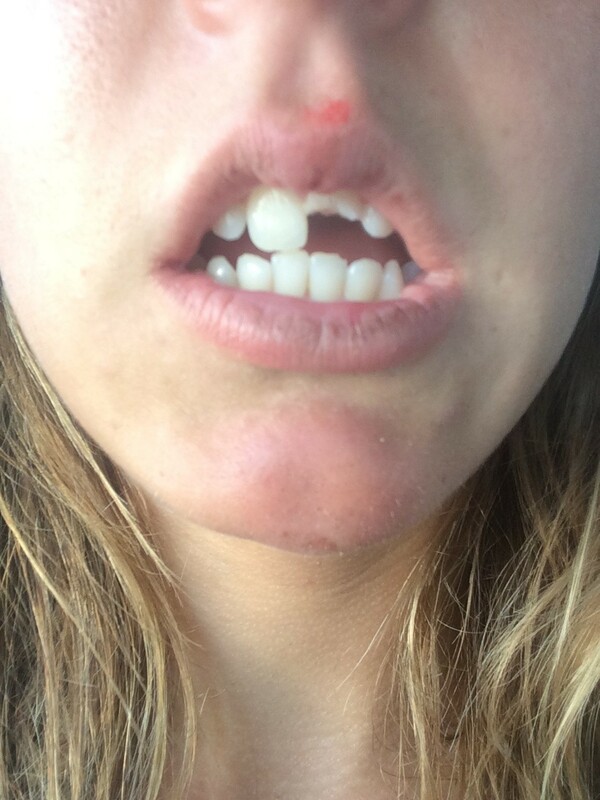 Most crucially, the broken tooth, painful as it was, was the only part of her that was smashed – her bike was wrecked in the collision, but her body suffered only bruises and abrasions, which, from a parental standpoint, I could deal with. The paramedics checked her out, confirmed no broken bones, no concussion, vitals good. A friend showed up to give her a ride to the dentist and within a few hours, a temporary crown solved her immediate problem. Crisis averted, I spent a few minutes falling apart – and checking on my son, who was doing better (and ultimately would be fine, although the doctors were unable to diagnose exactly what had caused the infection that had made him sick in the first place). But even as they were on the mend, I knew I needed to go see them. I would have done the same under either circumstance – when the specter of losing your child brushes you, you go – but two emergencies in one day? Bike commuting was the least of my travel worries. Crises thus dealt with, the next week my husband and I traveled to New York for a long-scheduled vacation to visit my brother and sister-in-law. Last year, I’d gone solo and spent a couple days exploring on a rented bike and marveling how unexpectedly safer cycling through New York felt compared to Humboldt. Part of that was due to the prevalence of bike paths separate from the streets, and the other part was I think people in New York pay more attention. They’re used to navigating chaos at all times, unlike, say, Arcata, where Stoney McStonerpants stops on I Street at 11th as if it’s a four-way stop and people open car doors into bike lanes without glancing back – and skateboarders and other bicyclists blow through stop signs on the downhill playing the odds that not enough traffic exists to make such behavior too risky. Sweet cruiser bike, awesome orange helmet. 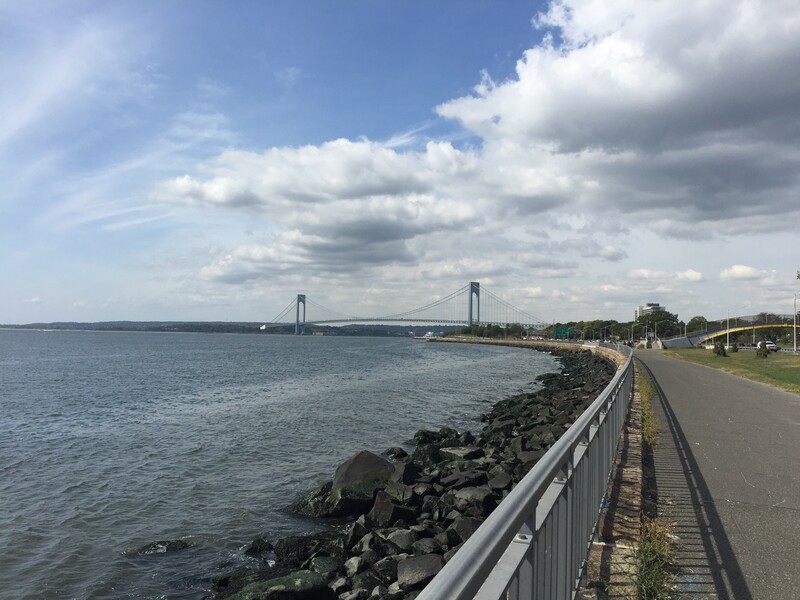 My husband and brother both enjoy a good bike ride, so my suggestion to repeat the experience was met with enthusiasm – and resulted in 28 miles of sightseeing from Park Slope to Coney Island to the Rockaways back to Brooklyn. Wonderful to pedal along water and over bridges without concern of cars colliding into me. New York, where bicycling is (relatively) safe! Many of my friends who ride bikes on the regular seem less threatened by the experience than I have been. I admire their positive attitudes, but they don’t negate the fact that vehicle vs. bicycle collisions aren’t uncommon in Humboldt – and are often deadly to the cyclists. When I started this column, I’d hoped to rekindle discussion of safety, the demand for bike paths and remind people how much need exists for Humboldt to be a place where people can get from point A to point B without a car. Thanks to all the folks who’ve joined the conversation, and offered suggestions and encouragement along the way.